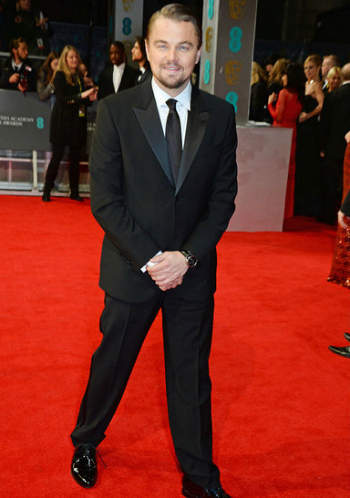 The British Academy of Film and Television Arts Awards were held over the weekend in London. I planned to blog them yesterday morning. I planned to blog them last night. Dinner at our favorite Mexican restaurant got in the way. Next thing I knew, it was bedtime. The dress is pretty and a great color for her. I just feel like something's off. I had to copy and paste his name. When I first saw this on Twitter, I liked it. After getting a closer look, I realize I don't like it at all. Haphazardly gluing leather scraps onto a satin dress is not a "make it work" moment. I hate the material and shape. But at least it's a fun look. I quite like the dress, but not with the severe hair and lip. The dress is tugging and wrinkled in all the wrong places. I have no idea what's under the coat, and I don't care. She always wears plain black dresses. I guess it's because she knows no one's really looking at her. I appreciate a woman wearing a suit. I do not appreciate a woman wearing a suit resembling the Tin Man. A lot of people seem to like this. This is how you rock 60. This is YET ANOTHER pretty dress ruined by a sheer bottom. A lot of people like this dress too. I don't like the dress or her messy hair. Once again, Lupita knocks it out of the park. Love the gold belt and cuff bracelets. I even love the hint of green on her eyes. I'm LOLing over your comments on Chiwetel, Emma and Sibi! Why is Maggie Gyllenhaal always an old lady!? I really liked Angelina's look. So casual, but put together. I wrote about Lupita today. She's just amazing. Lupita can do no wrong, I'm pretty sure. Am laughing at loud at your comment on Ruth Wilson's trouser suit, she DOES look like the TIn Man, that's it! Not a good look. 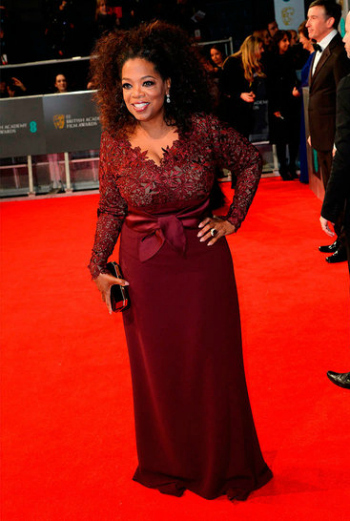 Loved Oprah's dress, she might have had to be sewn into it but she looked amazing. I'm not a Christian Bale fan but he was so good in "American Hustle", he deserves to win something! 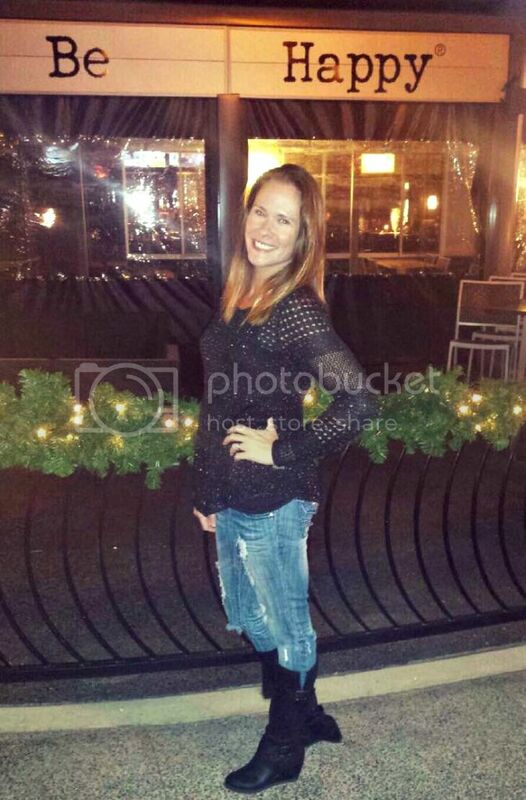 His wife is gorgeous. Cate Blanchett didn't wow me but she did look pretty - you're right about the rumpled dress though. Lupita stole the show, she looked beautiful. Angie & Brad looked so comfortable and yes, hot too. She was glowing. I'm a bit over Emma Thompson to be honest, enough of the acting like a teen on the red carpet! ThAt white fur cost....just no! Michelle Rodriguez, I didn't like it either. Maggie G....SO old lady, just hideous. Uma T looked gorgeous, a slight tan really suits her. Oh Maggie G. Please stop it. I also am over this sheer dress thing. Stop trying to make it happen. I have to give Michelle props though. This is sooooo much better than her usual disheveled look. You forgot my boyfriend Tom Hardy who looked hot hot hot hot hot hot hot. Of course, he could have shown up on the carpet in a burlap potato sack and I would have been drooling all over the place. I learned this morning he was one of the talked about contenders for Christian Grey. Say WHAT? I never would leave the theater if he was in that movie. 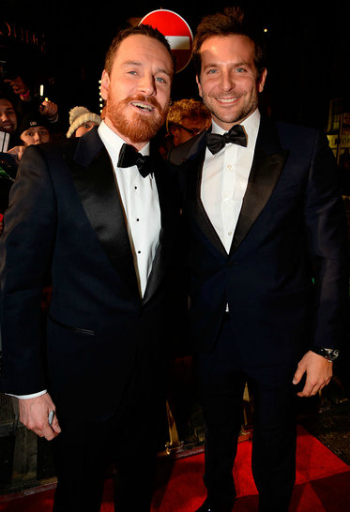 I would also love to be the meat in the Michael Fassbender Bradley Cooper sandwich. Lupita is quite literally one of the most beautiful women on the planet. I think Maggie's dress has potential it just looks so ill-fitting on her! I'm one that LOVED Olga Kurylenko's dress! Love this and agree with just about all of your commentary! (Except about Leo's hair. Boy's perfection to me no matter what!) And Lupita is one to watch! She's been KILLING it this awards season! 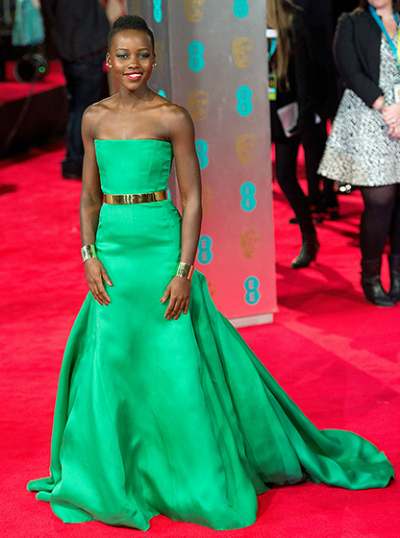 Lupita might be the best dressed of the season. Is Emma Thompson drunk at every award show? I saw that Lea chick and thought 'Misty will hate the sheer bottom' - is that weird that I knew what your reaction would be? 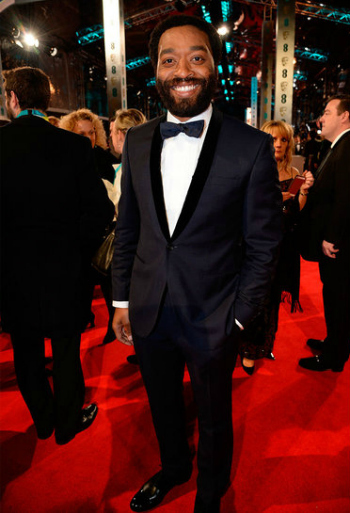 The BAFTAs are like the British Oscars but it didn't seem to be QUITE as black tie as the Oscars? I thought Angelina looked the prettiest I've seen her in a long time but that seemed kind of casual? Who is David Gandy? YUM! Who is David Gandy - nevermind I truly don't care I Just want to stare at him. Christian - be still my lady bits.